When temperatures soar, few things are more refreshing than a dip in the pool. If you’re a pet owner, you know that many pets, especially dogs, find the water just as enjoyable as we do. Get educated. First and foremost, you need to know as much as possible about the chemicals you’re using in your pool. Learn about the possible effects of each chemical and what they do. In addition to learning about what these chemicals do, take time to educate yourself on how to handle the chemicals safely so that you can keep yourself, your family, and your pets safe from over-exposure. Rinse them off. A quick and easy way to protect your pet post-swim is to hose them down. 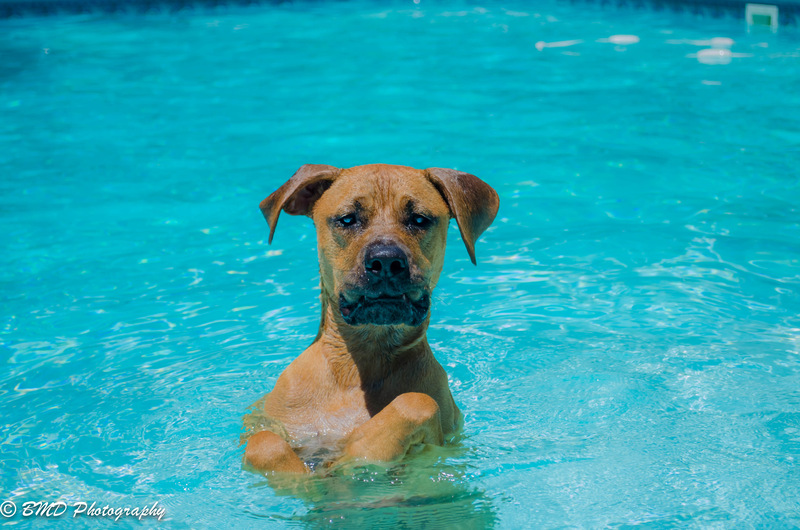 About.com notes that your dog’s skin is just as susceptible to chlorine irritation as our own. Repeated exposure to chlorinated water might cause a rash or other skin problem. The article recommends rinsing the chlorinated water off their skin with fresh water when they’re done swimming. That way you can limit the amount of time their skin is exposed to the chemical. Make eye care a priority. If you’re a frequent swimmer, you know that the chlorine can sometimes make your eyes red and itchy. Well, as this information-packed article from PetPugDog.com notes, your dog’s eyes are just as sensitive. It advises that you allow your dog to swim for just 5 – 10 minutes. Then, take a look at their eyes. If your pet’s eyes are already red, then it’s time for them to get out. And regardless of how long they swim, wash their eyes out with fresh water once their pool time is over. Don’t deny your pet the pleasure of swimming this summer. It’s great exercise for them and very refreshing. Just be sure to take the steps necessary to protect them from the chemicals we use to keep our pools clean.